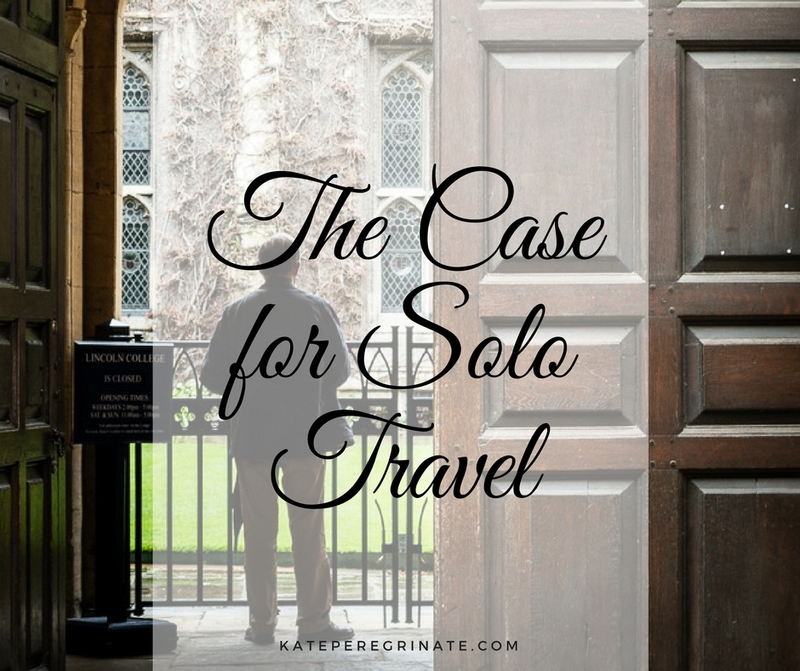 I regret that I didn’t consider solo travel until I was in my early 30s. It all started on a work trip to Chicago. Because I’d received a last-minute invite to the meetings, I was staying a different hotel than my coworkers who had made reservations months in advance. Suddenly, I realized that traveling on your own isn’t that much different from living on your own. If I don’t need a roommate at home, why do I need a travel companion? A few months after that work trip, I received an email from British Airways offering a round-trip flight from Houston to London for around $700. Without any hesitation, I booked a flight for my first solo international trip. Nearly a decade later, solo travel is growing on popularity, especially among young women. There are plenty of travel books and blogs to help create your own adventure. For those interested in group tours, the travel industry is offering solo travelers tour packages that don’t include the dreaded “single supplement” for those of us who don’t want to room with strangers. 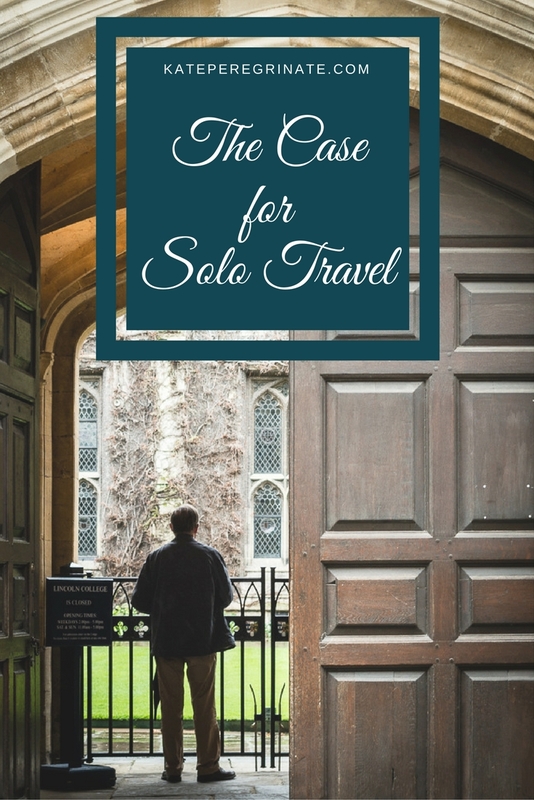 While more travelers are heading out on their own, many people I talk to are amazed that I travel alone. If you’re hesitant to take the solo plunge, consider these benefits before you opt to stay at home instead. 1 | You can travel when you’re ready. For years, my friends and I talked about road trips and getaways, but there was always one thing that kept us at home — money. When you travel on your own, you don’t have to wait for your friends to make travel a financial priority. The only bank account balance that matters is yours. It’s also important to remember that priorities change over time. Your friend who just bought a new car could be a great travel companion once her auto loan is paid off. 2 | You only have to plan around your calendar. Maybe you want to spend a special birthday in Paris. Or perhaps you need to schedule your vacation around work projects and deadlines. I like to travel during the spring and fall months as it’s usually cheaper than the summer months and less tourists are around; however, these months don’t work for my friends who are teachers or have children in school. 3 | Your travel wish list is all that matters. Just as we have different financial priorities, we all have different vacation preferences. I love European history and architecture, so my travel wish list includes many European big cities and historical sites. I’m not interested in adventure or exotic travel, and my hotel preferences are grander than budget but more sensible than luxury. My friends that travel have different preferences. One travels to exotic locations like Morocco and Thailand; other friends prefer Caribbean cruises and Mexican beach resorts. We can all go our own way and enjoy just the vacations we want. 4 | You can escape your everyday life. I love my friends, but sometimes I just want to escape everyone and everything. Many of my friends started out as coworkers, so when we get together, we inevitably talk about work at some point. That’s definitely the subject I want to avoid on vacation! Traveling alone helps me forget about work, rent, bills and other responsibilities. 5 | You will surprise yourself. I used to hate doing things by myself. Whether I was going to the movie theatre or grocery store, I liked to have someone with me. Even though I’m an introvert, I was a co-dependent when it came to doing things. Solo travel taught me that I’m okay being on my own. I can grab a drink at a pub before heading to the theatre. I can enjoy eating alone in a restaurant without feeling conspicuous. I’ve even discovered that I’m more likely to push myself out of my comfort zone when I’m far from home. Of course, solo travel isn’t all ice cream and rainbows. There are some downsides. But I’ll get to those next week. What are your top reasons for traveling solo? Have you learned something unexpected about yourself while vacationing alone?